Over our 30 years of industry experience, we have grown and become better. We want to keep growing and providing the highest-quality surfaces for you, which is why we are today launching our website redesign. After a big overhaul and months of tweaks, our website now has a vibrant new look and an enhanced experience for our users. Over a few months, we have worked with our friends at Buffalo Web Design to create a website which is better for all of our users. Buffalo have helped us to curate this new website, delving into extreme detail to guarantee that everything is optimised for our users. As always, we’re still passionate about providing the best service for our valued customers, which is why we decided on a new website; it demonstrates our passion and experience and establishes our determination to ensure we’re giving you the best granite, quartz and marble bespoke worktops available. Our new website aims to provide a streamlined yet comprehensive experience for our users; you’ll find navigating easy, with no loss to the quality of your experiences on our website. Alongside a cosmetic upgrade, we are now offering more information about the range of products that we have on offer. Our new website provides you with all the information you need, presented in a manner that means you can quickly and simply find out everything you need to know. 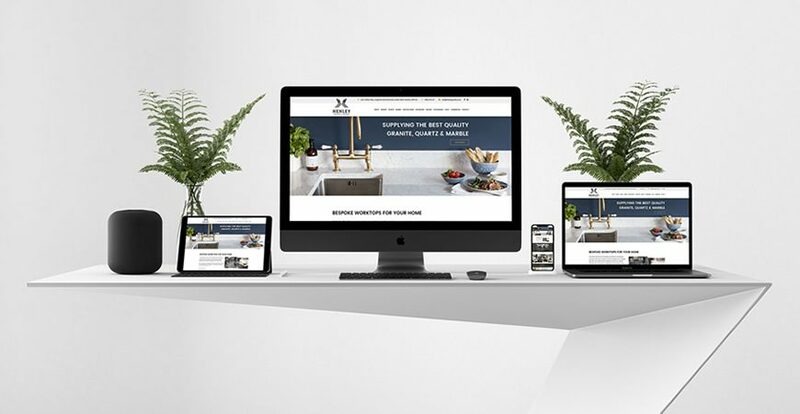 The new website is designed with the time and care that we exhibit when creating bespoke worktops for all of our customers, so you’re guaranteed to have all of the information you need, as well as an enjoyable browsing experience. We hope that you enjoy Henley Granite’s fresh new look; a change was due, and we hope you find it as eye-catching and simple to use as we do.